Phoenix Fire Protection stands by "protecting your most valuable assets." This is accomplished through being the employer of choice in our industry. To become the employer of choice we create an environment in which our team members have the opportunity to grow and progress into leaders. Team members at Team Phoenix are expected to progress in 1% increments and compound those increments into a 1% aggregate rate of return of progress. This creates a solid base on which leadership can be established. 3. Execution so that the customer (Client) will be "wowed". At Phoenix Fire Protection, we firmly believe that our success is in direct proportion to the relationships that our team members develop. Once this is established, winning is simply a by-product. PS: Hard work + Smart work = Smard Work. At Phoenix we work SMARD. 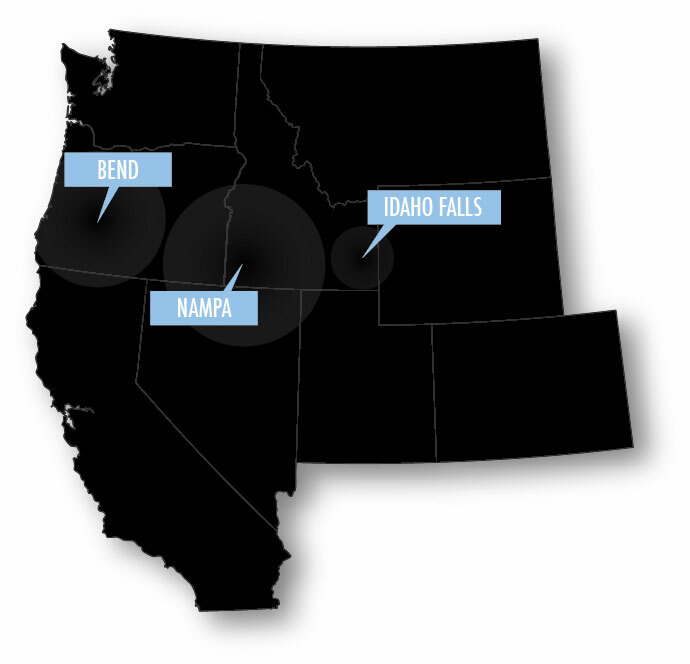 We proudly serve Idaho, Oregon, Utah, Washington, and western Wyoming. We have trained estimators, pipe fitters, and service technicians across the northwest. If you have questions regarding which location would service your area please contact someone at our company headquarters.